Ever since the discovery of the microbes, scientists have become very aware of the miniature world of microbes. This early awareness was later translated to an understating of how bacteria and other microbes effect the world we live in. Of course, early scientific and medical research often focused on microbes that cause diseases and how to treat them. However scientists have become aware that each individual is in fact a biome of microbes living on our exterior and inhabiting our interior organs. Bacteria also play an important role in digestion helping us break down certain foods, producing vitamin and allowing for efficient absorption of nutrients. Increasingly, investigators have began exploring how the micro biome in our digestive track impacts our health and wellbeing. Gut bacteria appear to play a role in matters of obesity, the development of certain types of cancer and ulcers. They do so by producing certain chemicals that affect a variety of health outcomes. Gut bacteria also produce a wide variety of neurology related chemicals that affect mental processes such as depression and anxiety disorders. Some studies now point to a relationship between autism and particular levels of gut bacteria. We eat what we are. I have read an article from other site. 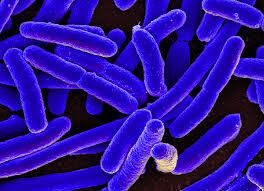 I quite agree with the importance of the microbes in our gut. We need to keep its balance.